There is a growing body of evidence that makes a business case for wellness in the workplace. Effort and money invested in environments that support employee happiness and wellbeing have a direct impact on the bottom line. Harvard researchers, for example, have found that for every dollar spent on employee wellness, medical costs fall by $3.27, and costs related to absenteeism drop by a further $2.73. The World Green Building Council has highlighted how productivity can improve by 8-11 per cent, as a result of improved air quality. A study by Harvard University’s Healthy Buildings Program found that lowering carbon dioxide levels, boosting ventilation and removing toxic chemicals could increase productivity by 8 per cent. In a space where volatile organic compounds (VOCs) were removed, people scored 60 per cent higher in cognitive tests than in a typical office setting, and if ventilation was improved as well, the test scores improved by 100 per cent. The importance of natural light has also been highlighted as an important factor in performance at work. A US poll by Future Workplace found that 47 per cent of employees say they feel tired from the absence of natural light or a window and 43 per cent report feeling gloomy because of the lack of light. Last year, The British Council for Offices (BCO) published the report, ‘Wellness Matters: Health and Wellbeing in offices and what to do about it,” to help decision makers in the property sector maximise their investment in wellbeing, to advise on how to choose between competing third-party assessment and rating tools, and to provide a ‘roadmap’ for incorporating wellness throughout a building’s lifecycle. The BCO found that perceptions of the costs of project delivery and certification could still be a barrier to prioritising health and wellbeing. But with the demands of occupants of workplaces changing, the introduction of new performance indicators and health and wellbeing certifications gaining greater recognition, the idea of what is essential and not just a ‘nice to have’ is changing. At Edge, we have always seen prioritising the wellness of employees as an investment in business and brand. Our fundamental approach is to work with our clients to understand how their workspaces are affecting the people who use them through a series of metrics-gathering exercises, including surveys, workshops and one on one interviews. By relating this back to a company’s perception and performance, together we agree a project’s ambition and wellness performance goals unique to them. 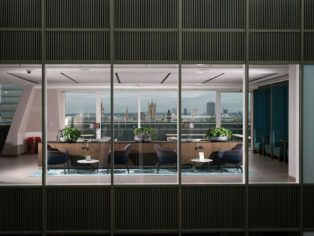 The Crown Estate’s WELL Platinum certification for its head office, made by the International WELL Building Institute – and the first such award in Europe – was the result of a focused commitment to wellness principles as a driver of the workplace design. The Crown Estate’s head office is located in the heart of its central London portfolio. The development at No.1 St James’s Market comprises two mixed-use blocks centred on a new pedestrianised public square, with retail and restaurant space on the ground floor and office accommodation on the floors above. The Crown Estate’s goal of “brilliant places through conscious commercialism” is at the heart of everything it does and its new workplace would demonstrate this purpose in practice. 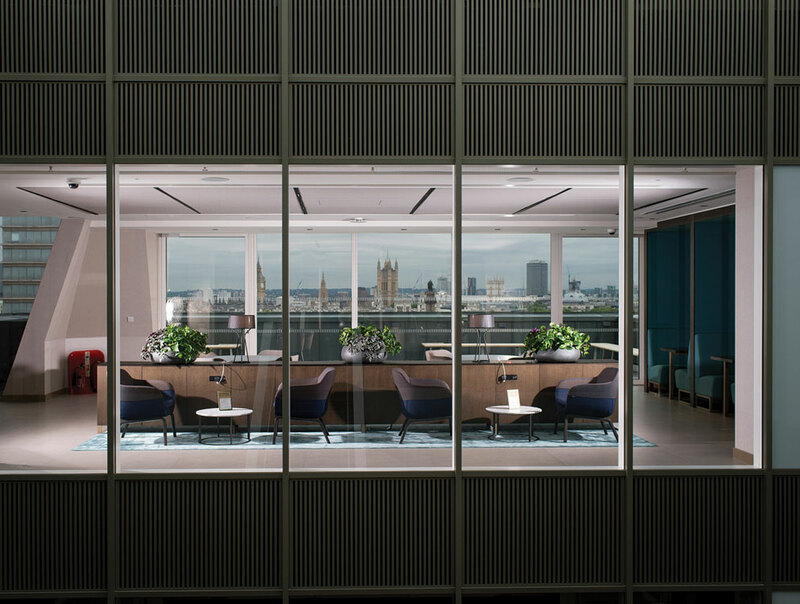 The Crown Estate wanted to achieve the highest certification for health and wellbeing, a Gold SKA rating, BREEAM Excellent rating for the fit-out as well as for the base build. 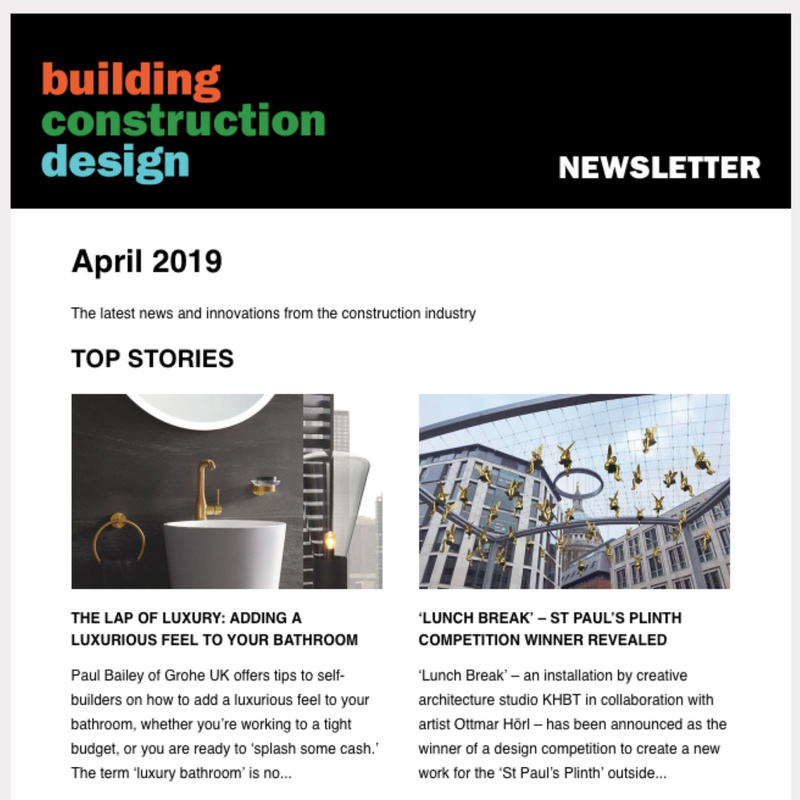 As a member of The Best Building Partnership, The Crown Estate was already engaged in sustainability leadership and sharing best practice in benchmarking and performance for commercial real estate. The design approach for No.1 St James’s Market paid particular attention to future proofing, sustainability and a long-term focus. The new workplace was designed to prioritise and preserve access to natural light as well as to encourage mobility. 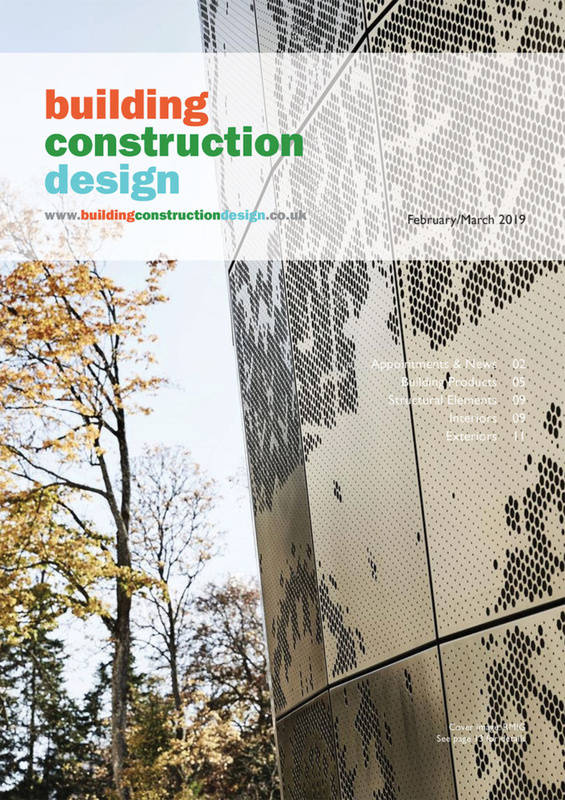 Achieving the highest certifications for health, wellbeing and sustainability required new learnings, rigorous specifications and innovative use of materials from The Crown Estate’s natural assets. WELL certification involves documentation review and performance verification to determine whether a project meets the requirements of the standard. Performance verification, which is thought to be unique to WELL in this form, ensures that the space is not only designed for health, but that it is actually performing for health. The Crown Estate achieved the standard by meeting the WELL Institute’s requirements, which are based on seven categories of building performance – air, water, and light, as well as “nourishment,” “fitness,” “comfort,” and “mind,” across two floors of No.1 St James’s Market. 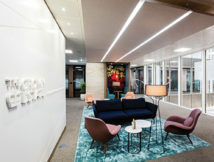 Judith Everett, chief operating officer at The Crown Estate, explains, “When we moved to our new offices we wanted to deliver the very best environment for the people who work at The Crown Estate, and this accreditation shows we achieved that. The WELL standard has changed the way we, as an industry, think about how we can have a positive impact on the people who work in our buildings. We’ve worked hard to ensure that our own space here at St James’s Market represents the best standards in flexible, contemporary workspace, and this formal accreditation would truly demonstrate our commitment to creating brilliant places – both for ourselves and for our customers.” Edge worked closely with The Crown Estate, plus sustainability consultants Cundall, project managers Buro-Four, building services consultants Watkins Payne, and cost consultants Alinea, to create an environment that placed people at the heart of the business. The holistic, evidence-based wellness approach has resulted in a workplace environment certified to be of the highest performance. The Crown Estate had already been monitoring air quality and Leesman (LMI) data. As part of using the WELL standard, everything was tested and monitored on site. The Crown Estate carried out a strategic review of every measurement, examining every feature and the design and cost implications involved with WELL Platinum and signed these off individually. To achieve Platinum meant in the first instance, meeting all of the Institute’s preconditions. Ultimately, 105 features were to achieve accreditation, 85 per cent of the optimisation features. The new workplace was designed for performance, continually monitored and has either met or exceeded the project targets. Post-occupancy data shows that the new workspace is hugely popular with the client and its people (+25 per cent LMI) and that the move to new ways of working achieved a satisfaction +92 per cent LMI. Edge has helped The Crown Estate to provide a stunning, transformational workspace, which is delivering greater staff satisfaction, wellbeing and productivity.